As the world is abuzz with intel from the Fifty Shades of Grey movie set, it seems appropriate to examine the infamous color shade within FADA’s inventory. The density of the color, its mundaneness favored by Scandinavian minimalism, nevertheless makes a statement in artworks. 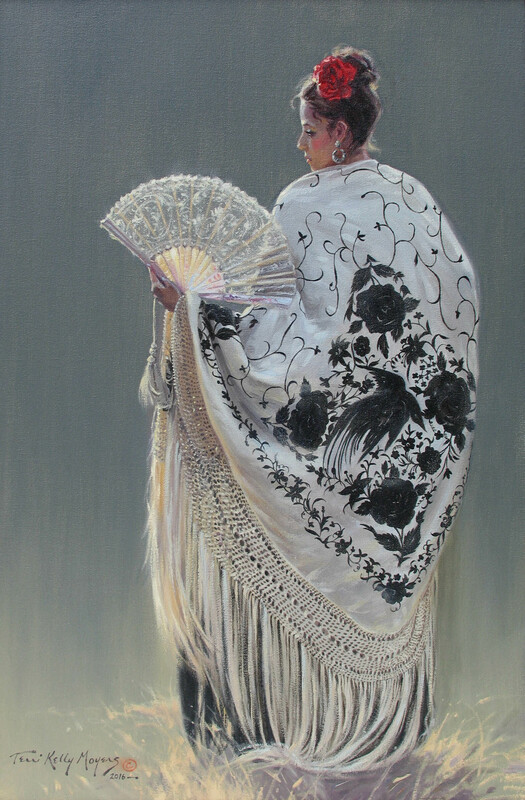 Terri Kelly Moyers, Black Bird, Oil, Nedra Matteucci Galleries. Click to inquire. 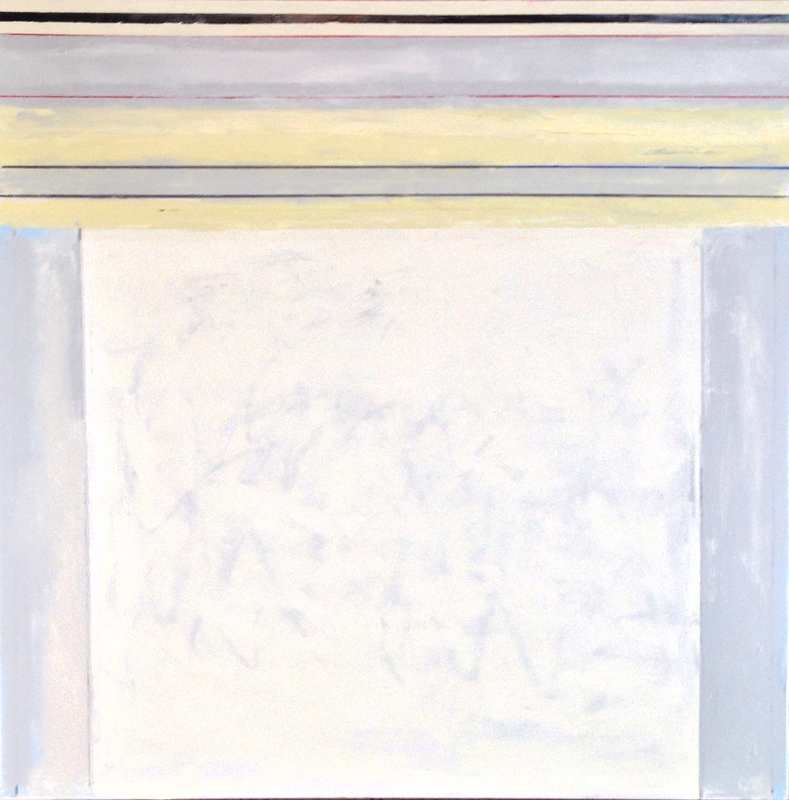 Linda Touby, Sydney’s Door 5, Oil and wax on linen, Timothy Yarger Fine Art. Click to inquire. 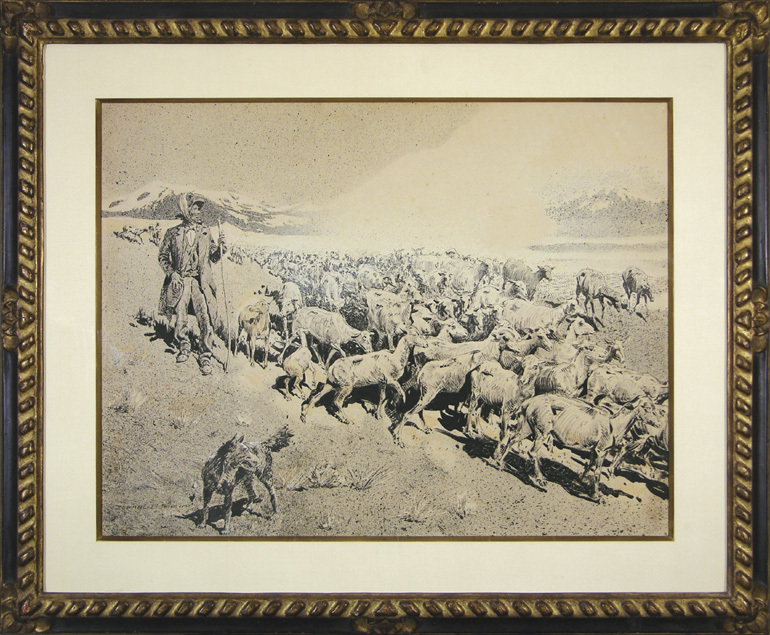 Edward Borein, A Goatherder with His Flock, Ink and gouache on illustration board, Thomas Nygard Gallery. Click to inquire. The so called color without color nevertheless is integral in Romantic masterpieces, teasing total blackness in the infinitely murky clouds. Additionally making an appearance in impressionistic works of the changing city-scape, the shade of repaved sidewalks and soaring sky scrappers; the color grey perhaps emits a mood of impersonality. 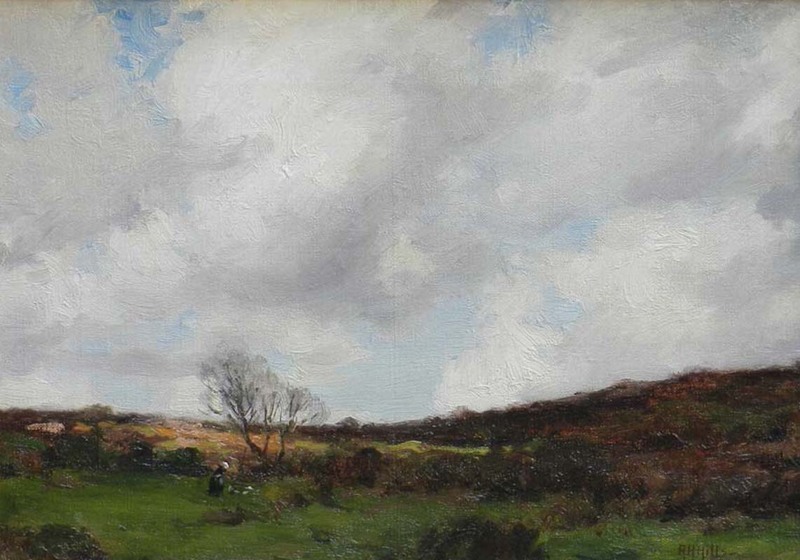 Anna Hills, Moorland - Lamorna, England, Oil on canvas, Redfern Gallery. Click to inquire. 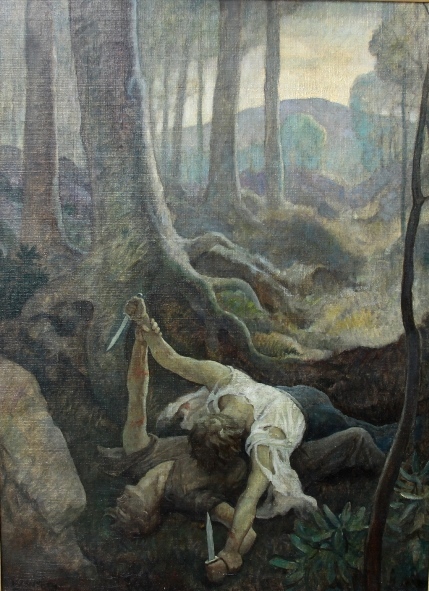 N.C. Wyeth, Rebel Jerry and Yankee Jake, Oil on canvas, Surovek Gallery. Click to inquire. Famously revealed in Whistler’s works, most notably of his mother, grey is shown to have an elegance in its stoicism. As the color of the modern world, what does grey say to you? 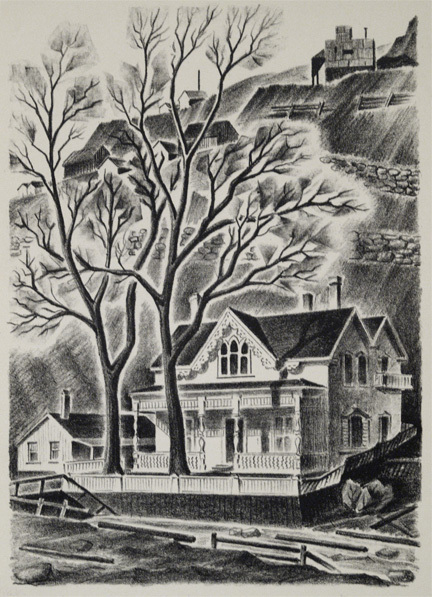 Arnold H. Ronnenbeck, Untitled (Mining Town , Colorado), c.1930, Lithograph, David Cook Fine Art. Click to inquire. 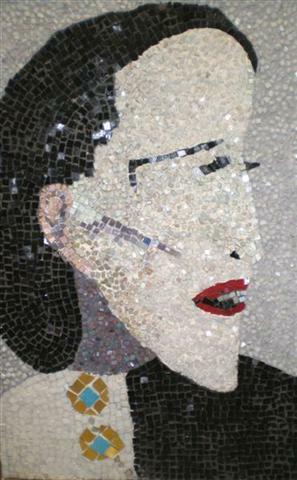 Jeanne Reynal, Martha Graham, 1975, Mosaic, Levis Fine Art. Click to inquire.